Backpacking in East Timor – top sights in Dili. In the back of a microlet in Dili, East Timor. Almost every traveller to East Timor will visit the capital city Dili during their stay. 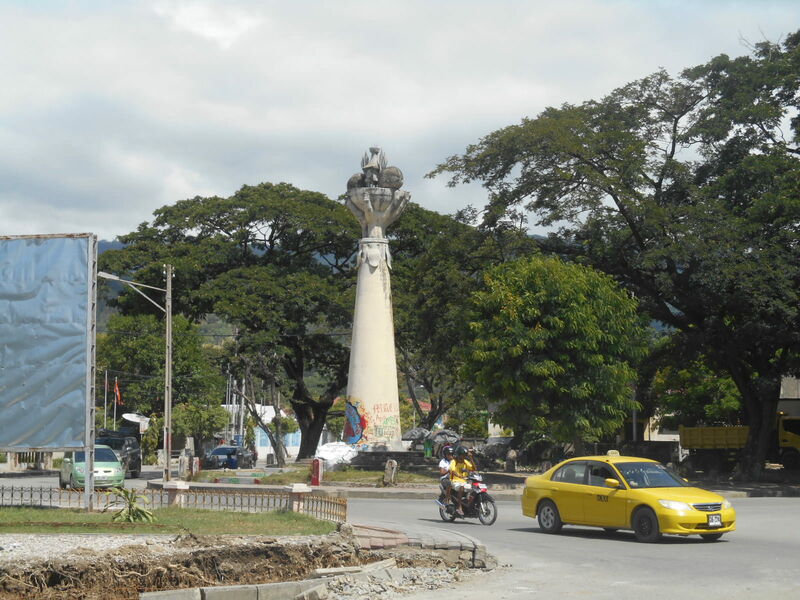 The city of Dili is a quiet, small and charming capital. It reminded me of my time backpacking in Paramaribo, Suriname a few years back. It ain’t big but there’s enough to keep you occupied and hanging around a few days. Local language is Tetan but the locals appreciate you trying to speak some Portuguese (Bon Dia will suffice) and English is developing as the Australian ex-Pat community is growing. 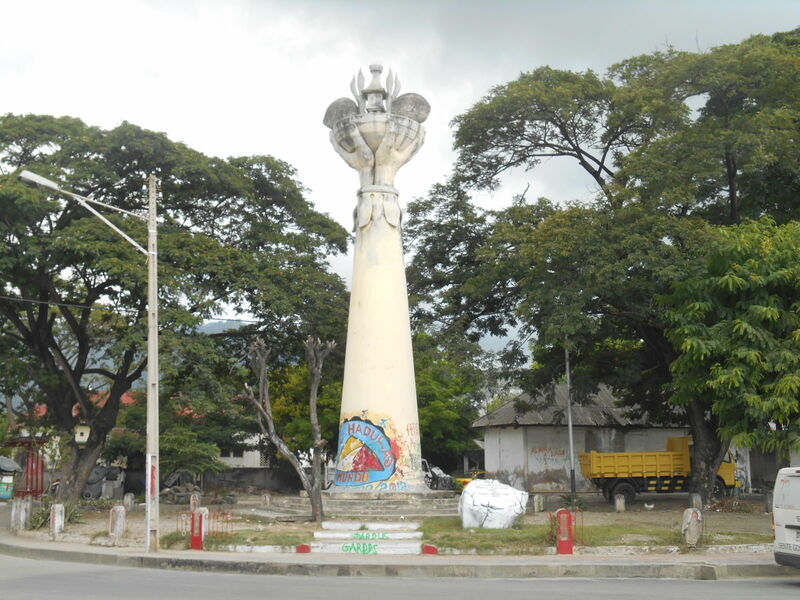 While based in Dili at the awesome East Timor Backpackers, I set about working my way through the sights in the city. I recommend these personal top 15 sights from my time in Dili, as well as checking out the best bars in Dili. In a staunchly Catholic country, you’ll definitely visit a few churches on your travels in East Timor. 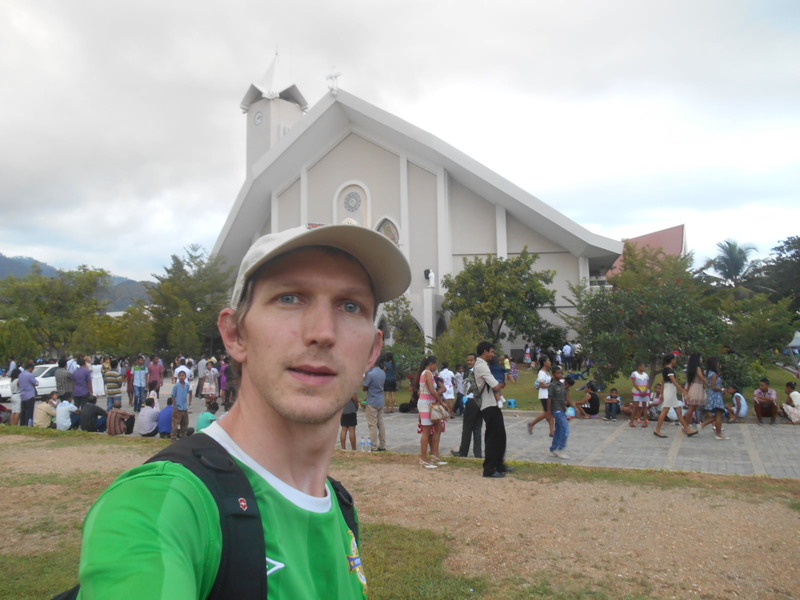 The Cathedral in Dili is awesome. It’s the biggest church in the entire country. All Catholics are welcome for the masses and most locals dress up for the occasion. It is a proudly Catholic nation, with 98% of its residents Catholic. I was there over Easter and caught a crucifixion ceremony. Selfie down at Dili Cathedral. Dili has a very pleasant harbour front, which makes a great walk from west to east. I actually walked it on a few different occasions, including on a pub crawl from Esplanada working our way back to the hotel. 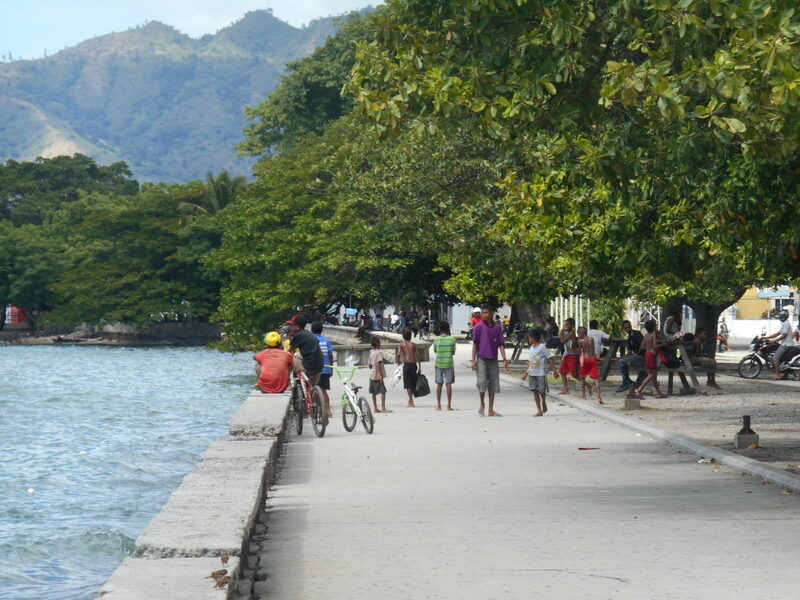 The waterfront in Dili, East Timor. 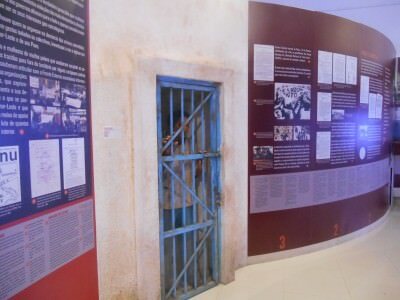 The resistance museum in Dili is the place to get your fix of the war of resistance against Indonesia. It’s actually fascinating to read up on. A few new words you’ll come across are Fretilin (the local political party) and Falintil (the military wing). It costs $1 US to enter but that’s easily worth it – the effort they have put into this place. Souvenirs are available and also everything is written in Tetan, Portuguese and English. The Resistance Museum in Dili, East Timor. East Timor have an international football team which compete in Asian Qualifiers for the FIFA World Cup, as well as entering the Asian Cup. They only joined FIFA in 2005 and are currently ranked 182nd in the world. However they did have a team in the 60s too. Their recent World Cup qualification efforts resulted in a double defeat to Nepal in the first phase. I managed to get inside the stadium and onto the pitch. The views of the mountains around from the pitch are superb. 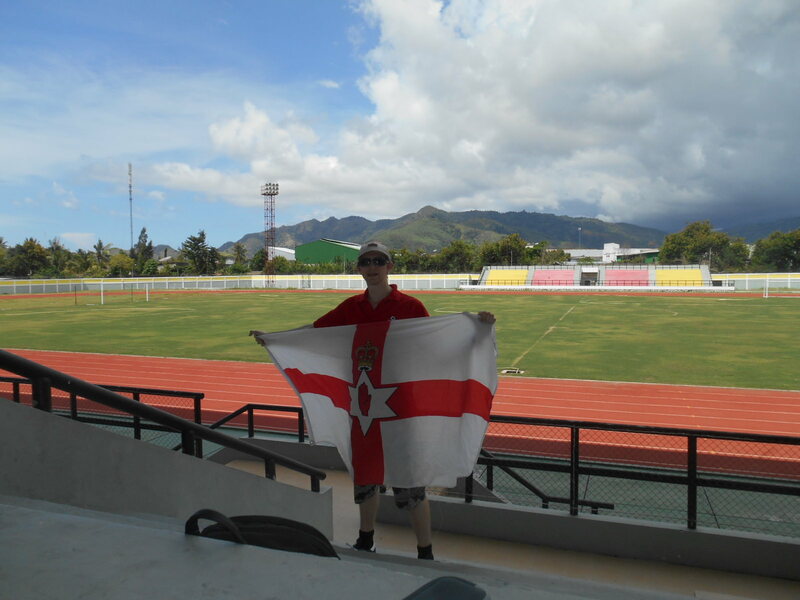 Inside the National Football Stadium in Dili, East Timor. 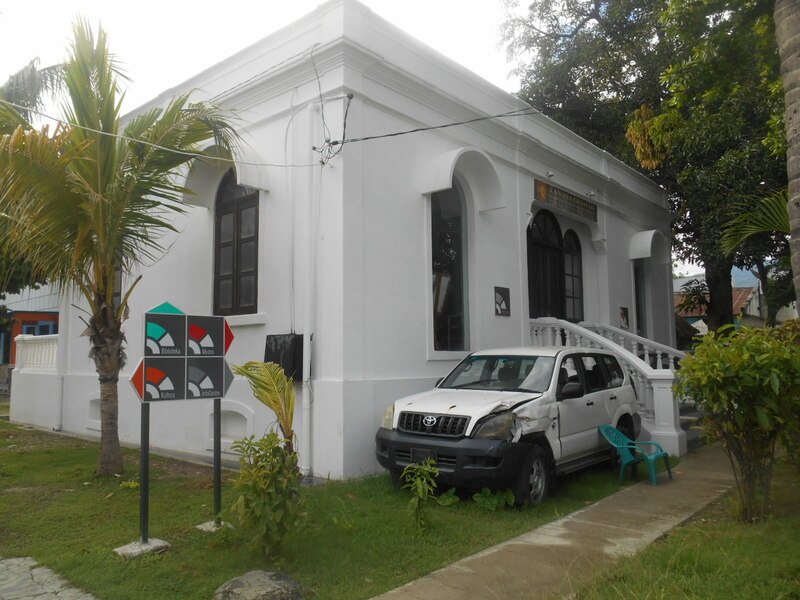 Xanana was the first ever President of East Timor and his old reading room is now open and functioning as a library and museum. 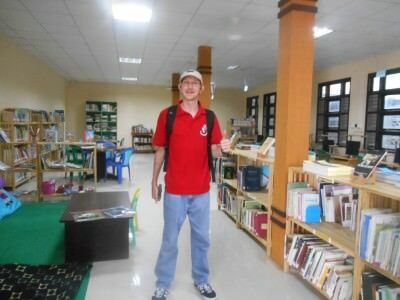 Inside Xanana’s Reading Room in Dili, East Timor. This place is absolutely fascinating. There are book shelves full of more books on Timor Leste than you imagined were ever printed. There are relics from Xanana’s reign and the car that they shot at him sits right at the entrance to the museum, unchanged. Souvenirs are also available and the staff are really clued up and welcoming. The front of Xanana’s Reading Room and Museum including Xanana’s car. Again, this isn’t one for going and being happy about as this country has been through a lot. But that’s not to say you shouldn’t visit the Santa Cruz Cemetery, in fact I made sure I headed out there. As cemeteries go, this one is very well decorated and looks the part. 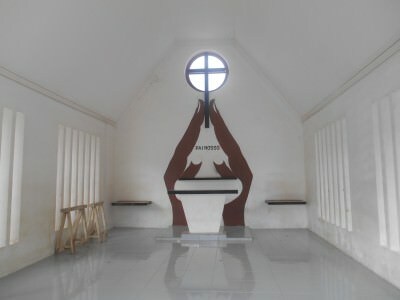 A proper tribute to an act of atrocity on the 12th November 1991 when Indonesian soldiers opened fire during a peaceful cemetery, killing at least 280 people. The elaborate graves hide a horrendous atrocity here at Santa Cruz Cemetery in 1991. A shocking atrocity and one that reminded me of my home country Northern Ireland and an attack by Michael Stone at a cemetery in the 1980s. Worth saying a prayer when you’ve passed through the gates. I was there in Easter Sunday and had a few moments to ponder. 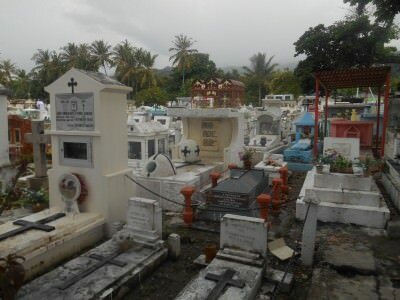 Take time to pray for peace at the Santa Cruz Cemetery in Dili, East Timor. 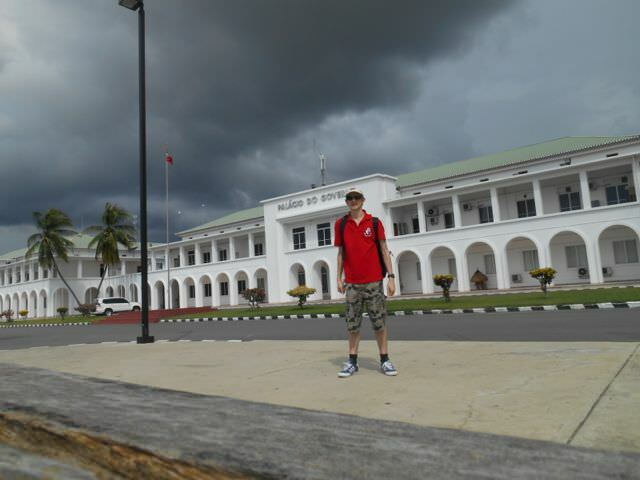 Again, I drew comparisons between Dili’s government palace complex and that of the one in Paramaribo in Suriname. The likeness is uncanny – a quiet capital, no tourists around, you can walk right up to the entrance, the soldiers smile and talk to you, the building is white. Worth a look around and I was actually allowed inside as well (I asked the soldier first) and got to see the room where the assembly is held. 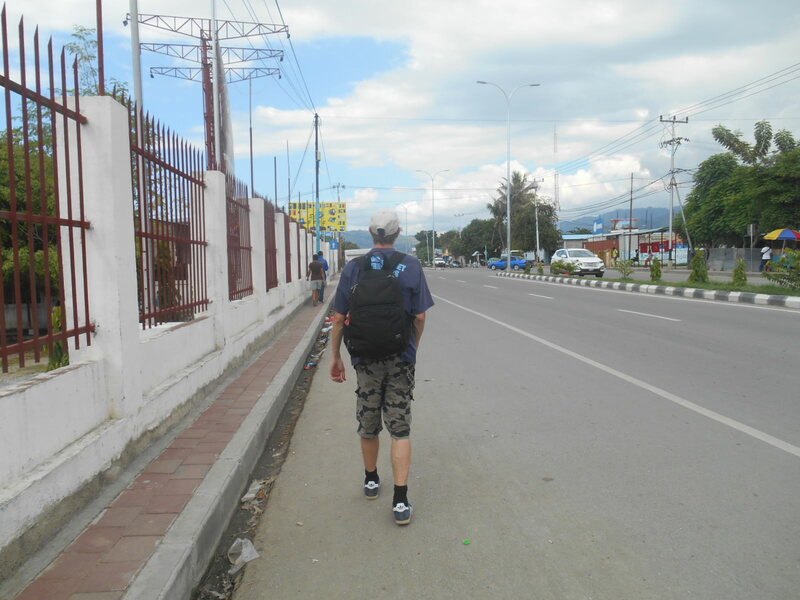 Backpacking in Dili – outside the Palacio do Gobierno/Presidential Palace. 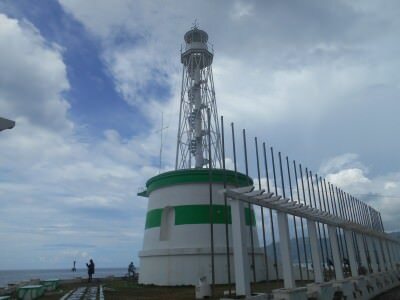 Farol lighthouse in Dili is easily one of the least spectacular lighthouses you will ever see but it stands out on your walk along the coast and is worth stopping by to enjoy the view, and take a quick photo. It might seem unusual that a shopping centre makes the top 15 for any capital city but the Timor Plaza has to be in there. For many reasons – this is still very much a developing country and this is the first major attempt at a commercial shopping mall. Already installed are Burger King (the nation’s only “western fast food restaurant”), Gloria’s Coffee and the city’s highest bar – Panorama at Sky Bar which offers a good view of the Dili skyline for sunset. 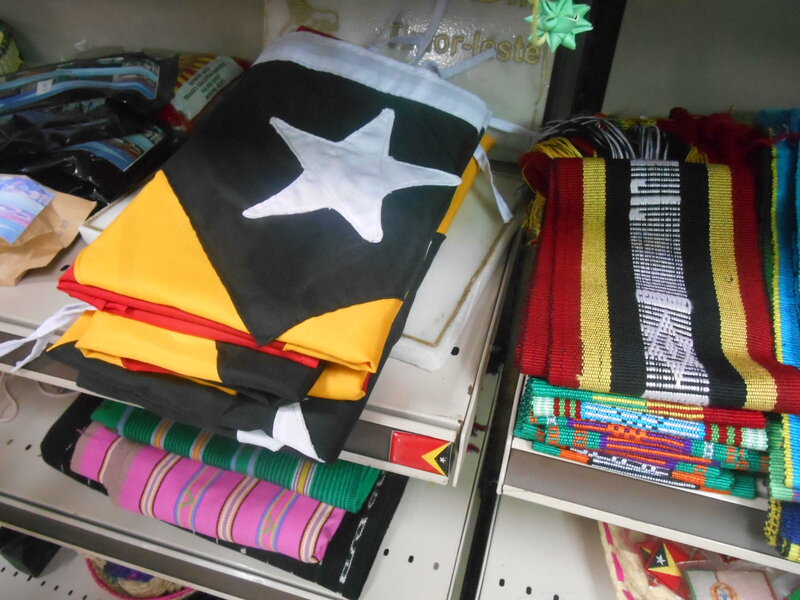 There is also a cool souvenir shop – something of a novelty in East Timor – again the tourism industry is very much still developing. Expect to pay as much as $4 US for a postcard and $5 for a fridge magnet. I did bargain them down though, but realistically you should respect the locals here in their attempts to make some money from the few tourists that pass by. East Timor souvenirs in Timor Plaza. Dili has more than its fair share of beaches and this is a paradise as well. I visited about 3 or 4 of the beaches, I particularly liked the ones closer to Cape Fatucama on my walk round to the Jesus Statue. Jesus backside beach (though not in Dili) is a favourite for snorkelling. 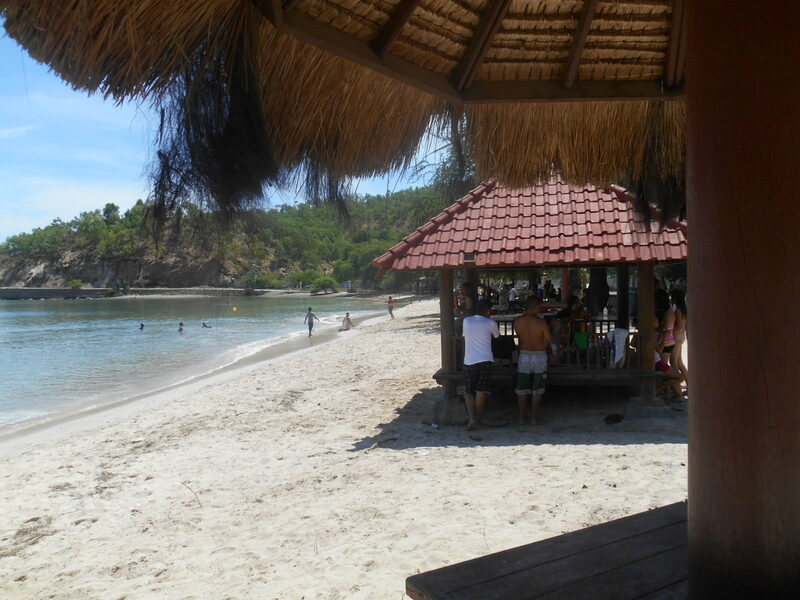 One of many tropical beaches in Dili, East Timor. I was told in advance that posting a postcard might be difficult in East Timor. You might have read that I have posted my kid brother a postcard from over 80 countries and always make the effort to find the main post office to do this from. The staff in the post office in Dili, East Timor. In Dili, the main (and only) post office has a range of really cool East Timor stamps, good friendly staff and they were able to post my postcards no problem! 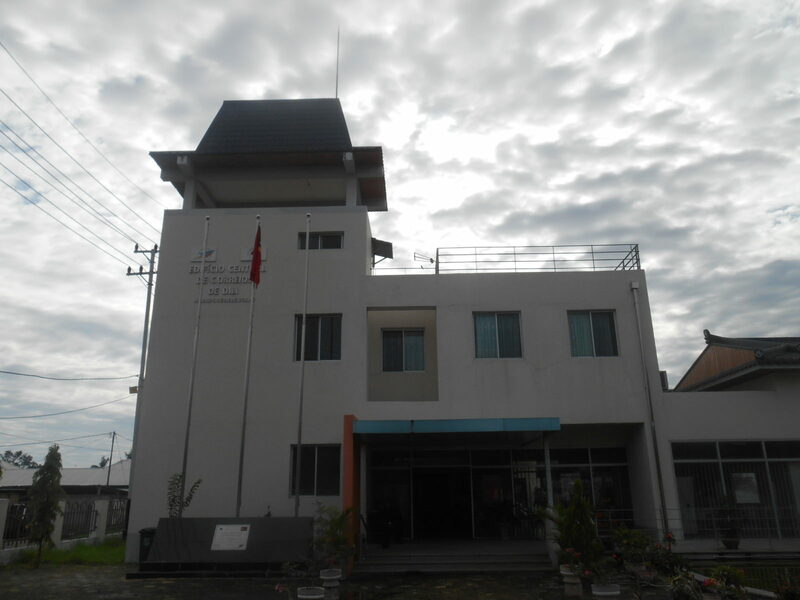 Dili Post Office, East Timor. 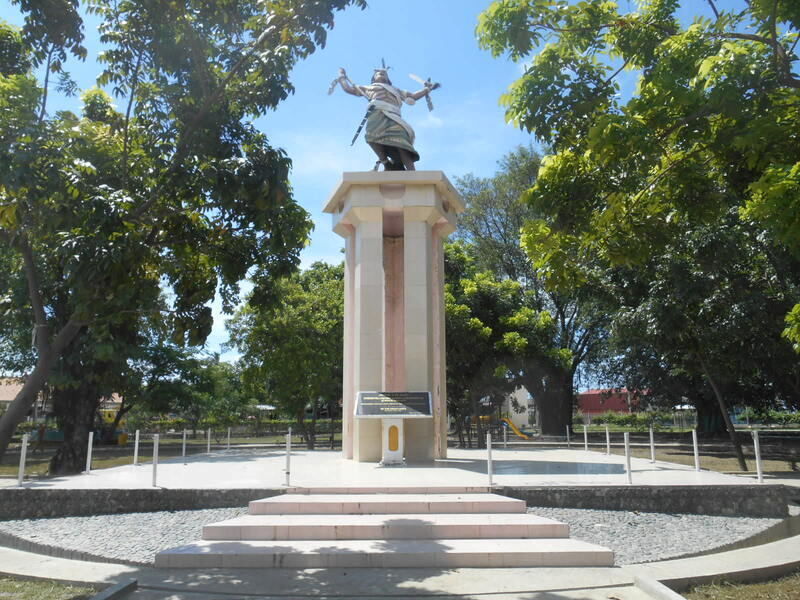 There’s a hint of sadness that accompanies your visit to Dili and that is that the city has been clearly destroyed by war and still hasn’t recovered. The Clock Tower square is just up from the backpacker’s hostel but really, it’s drab and desolate and crumbling. Better times ahead hopefully. 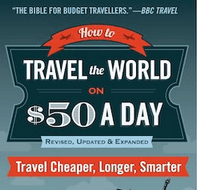 “How the other half live” – as a cheapskate backpacker I’m always keen to have a nosey in on the posh hotels. 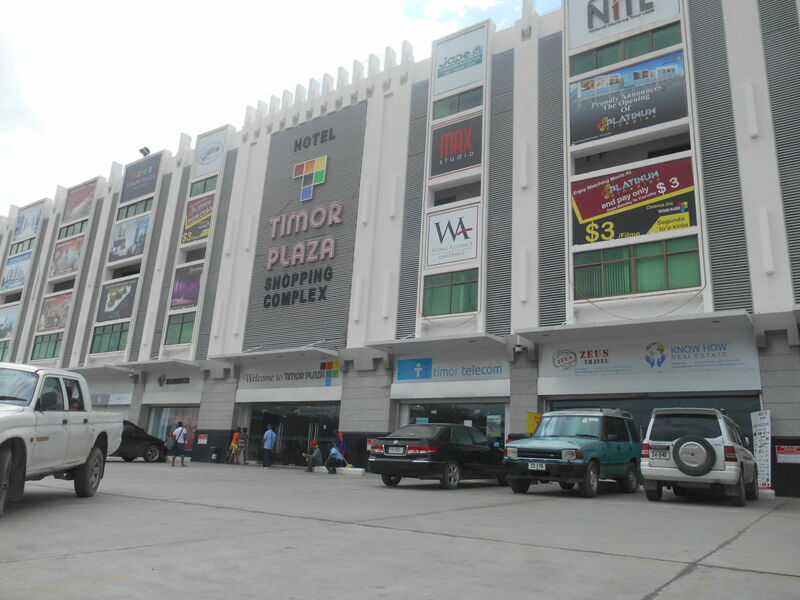 The Hotel Timor attracts quite a lot of “business travellers”. I popped in for coffee and a toasted sandwich on my walk through the city and was impressed. 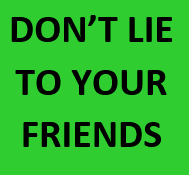 At weekends they organise “fun runs” and there is free Wi-Fi and a bar and coffee shop open to the public. 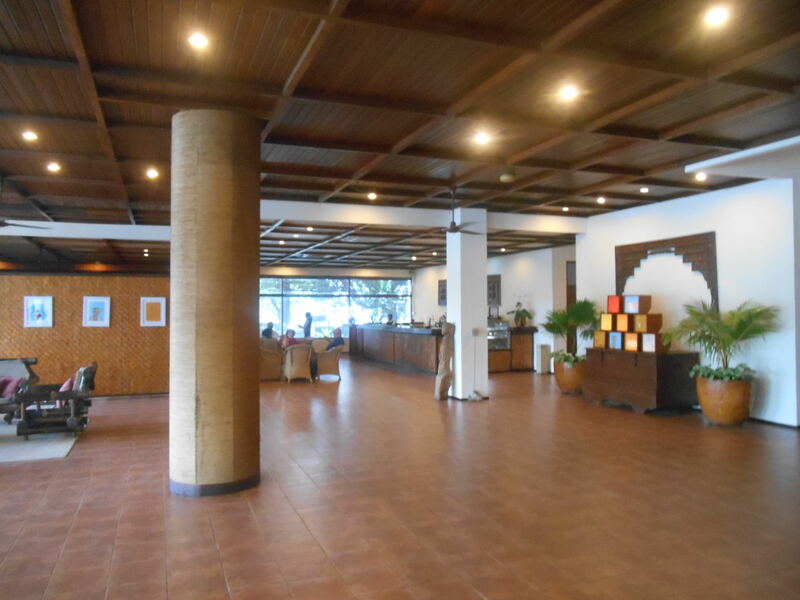 The modern Hotel Timor in Dili. 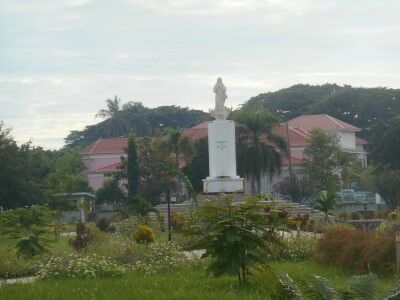 The Fatima Statue is in a park on the east of the city, near Xanana’s Reading Room. 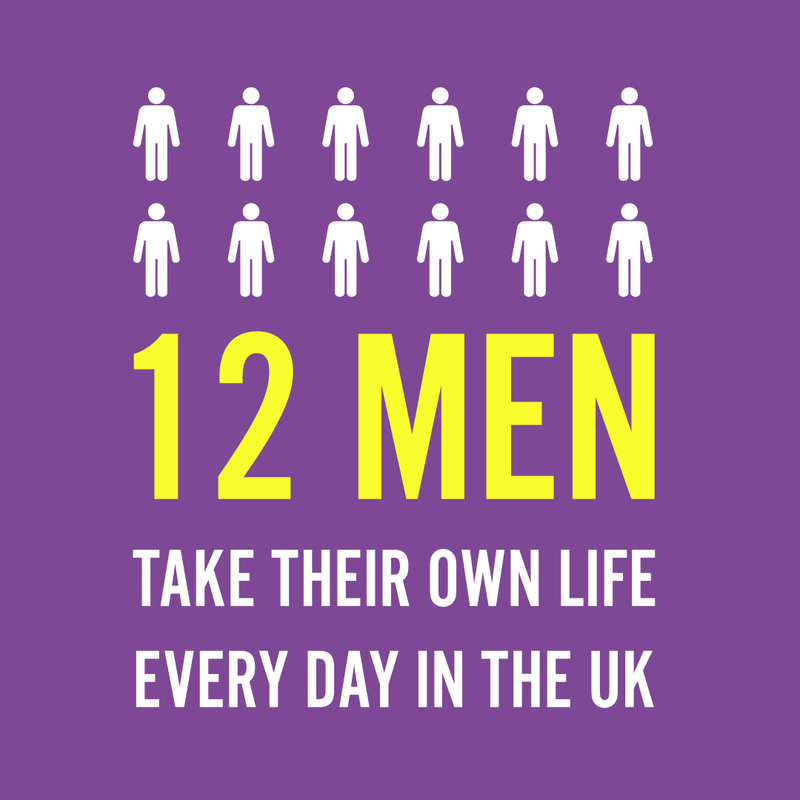 Again – big reminders that this is a Catholic country you are in. The Fatima Statue in Dili, East Timor. 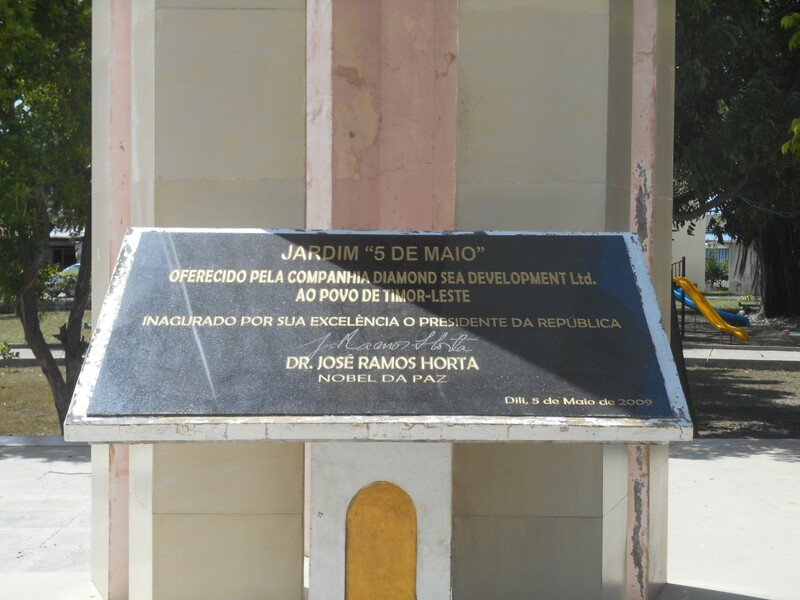 In a small park, grassy area and triangle off the main street (Avenida Alves Aldeia) is this Integration Monument. Integration Monument in Dili, East Timor. Plaque at Integration Monument in Dili, East Timor. So in the city of Dili, itself those 15 should be enough to keep you occupied! Please note that the Arte Moris is not included as I personally didn’t go there and I only write real travel stories about places I actually go. I also haven’t included the Jesus Statue or Atauro Island in this as strictly speaking they’re not actually in Dili and I have covered them separately on posts of their own. This entry was posted in Asia, Destinations, Dili, East Timor. Bookmark the permalink. Thank You for visiting my country and explore it in a very nice view and thank you to let me leave a little comment on your blog. Come back sometimes to explore again, the face of the city has already upgrade and looks more beautiful since you left. I am glad to hear that you enjoyed your stay in my country. 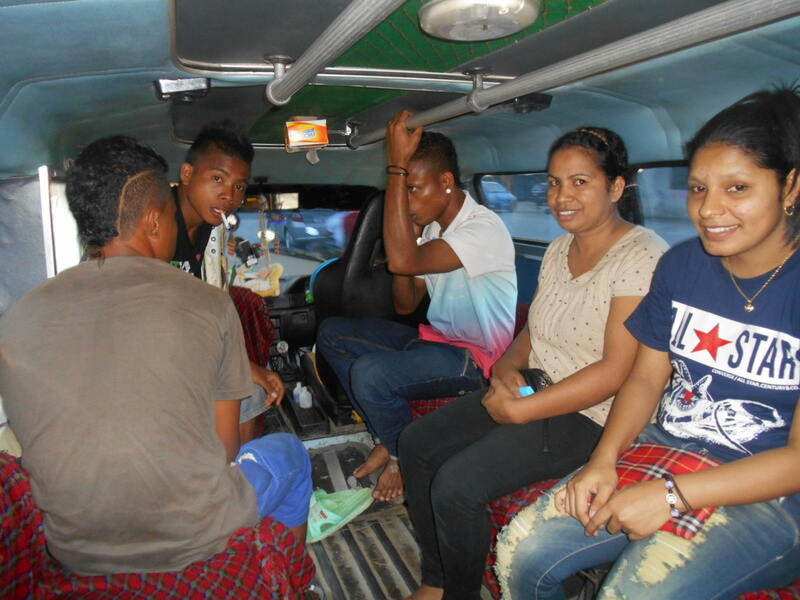 I am hoping your story will spread and more ppl will come experience and discover Timor Leste. We have many more to offer. And you Jonny, we are expecting your next visit someday……..